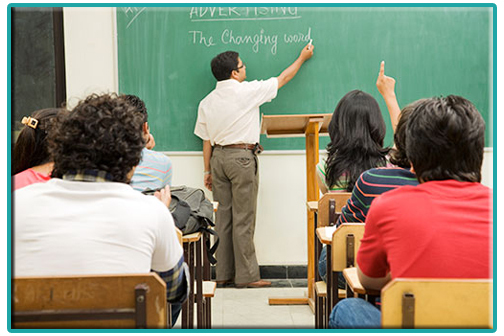 What are the common questions we generally face about coaching classes? Tell me the best coaching for CA? Which is the best coaching in Delhi? Who is the best teacher for this subject or other? Which coaching has the best result? But what really is the definition of best coaching class. This is by far the biggest misconception which has been observed, specially in CA classes. Even there have been cases where teachers say that we had to increase our fees to increase the no. of students in our class. If you get the same coaching for a lesser price it is always considered that since they are not good, they are charging less price. This again is one more thing peculiar to CA classes. Students feel proud when taking classes in auditorium between 500+ students and teachers equally proudly say that we will stop teaching if we get less than 200-300 students. “It is really difficult to have a discussion in a batch with more than 70-80 students and the result is class ends as teacher just speaking continuously and students listening like dummies. Many institutes claim more than 90% result and most of the ranks and thus these should be good. Lets take example of CA CPT in this case… overall result in June 2013 was 27%, that means only 27 students passed out of 100. But many institutes claim more than 92% result and that too in a batch size of more than 500 students. How realistic is this? If this was to be true, than all students not taking coaching would be failing to bring the average… and we all know that is not true. Talking about ranks, this generally happens in IPCC and Final. Even if the teacher is taking only one subject say SFM of final, then also he will claim the rank of the student from his institute as if all subject classes were taken under him. “Real thing is that overall result can not be more than 60-70% for institutes with batch sizes of more than 200 students and not more than 85% with batch sizes of more than 60-70 students. This is really impossible, it is very difficult to know the effectiveness of a teacher in one class. Also such trial classes are the best attempt given by the teacher. Share your comments, what do you feel about this. Also rate the classes already taken by you to help others. v shud not feel shame 2 ask ques in auditorium . Yes, but many students are unable to ask questions in auditorium.